Have you ever wanted a backpack that not only carries things but also keeps you cool in the summer and warm in the winter. 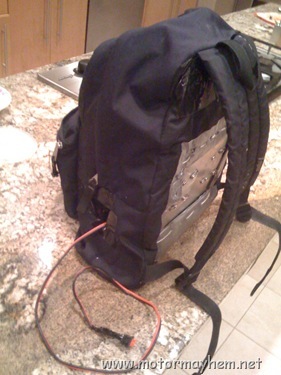 Now you can have it all by making a backpack that uses peltier units to warm and cool you. 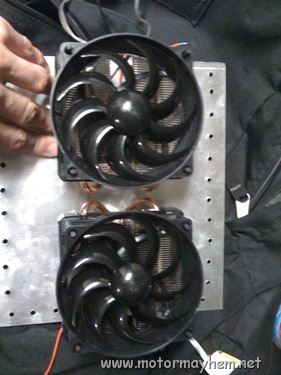 Attach the Peltier units and heat sinks to the piece of sheet metal to allow uniform heat distribution. 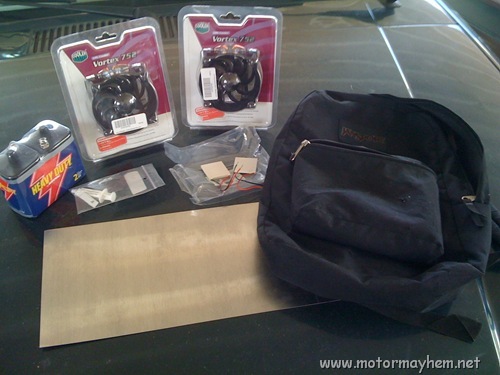 Also drill holes along the perimeter of the sheet metal to sew it into the backpack. 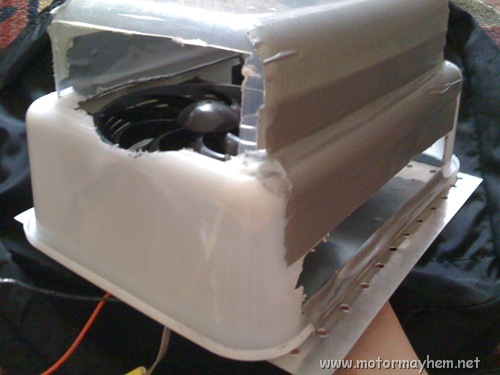 Using the tupperware containers make a cover to protect the fans and peltier units while they operate in the backpack. Then just wire it up, put it in the backpack, and enjoy the fruit of your labor. Why? It works well and can still carry items.